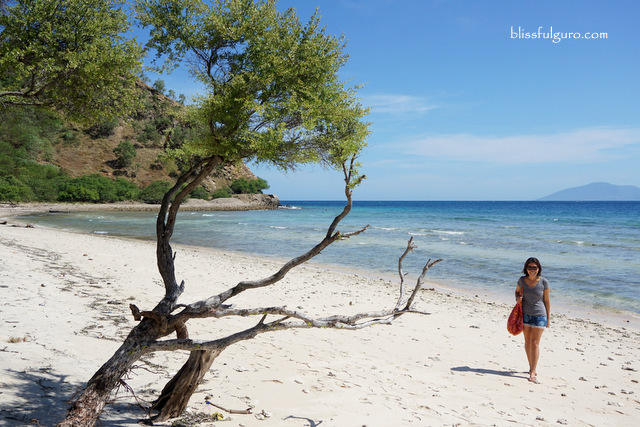 It was our fourth day in the capital city of East Timor. 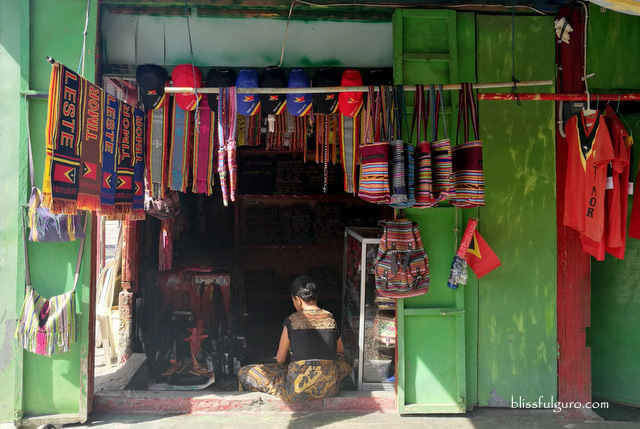 We could go to the deeper parts of the country where we’d definitely experience the local Timorese life in the outskirts of Dili but we chose not to. 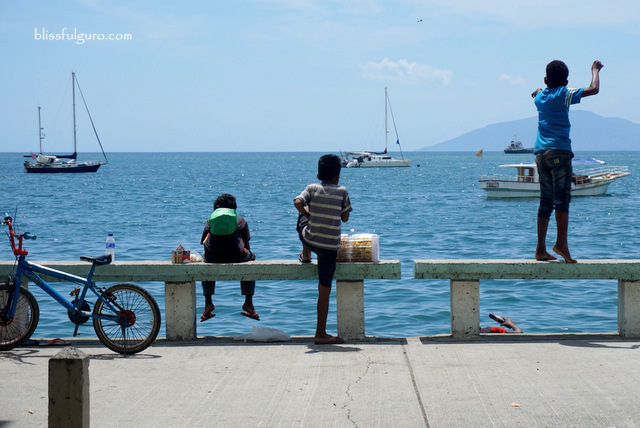 We remained at the sleepy city and continued our immersion to the slow-mo-like urban life of the Timorese people. Three full days is enough to explore the city and a week may be too long for some, well, not for us. Me and my buddy, in our five years of traveling together around Southeast Asia, have never set foot in Brunei and East Timor. We don't have a "travel bucket list" but we have long been eyeing on those countries to complete our Southeast Asia loop. 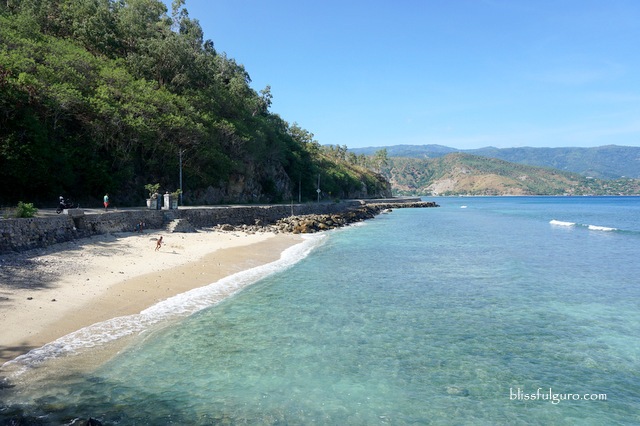 We have plotted our itinerary on our annual summer trip this year and realized that we could jump from Bali in Indonesia to East Timor. 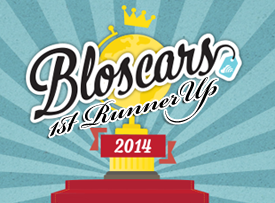 And yes, we did! SEA 2 Africa 2018 was the fifth installment of our annual summer backpacking trip. As a public school teacher, I am fortunate to have the luxury of a two-month forced summer leave which actually prompted our first ever backpacking trip as a couple. It allowed us to get to know each other better as we go around whatever country our budget would lead us to. Southeast Asia has been our favorite playground as the visa-free policies in entering the ASEAN (Association of Southeast Asian Nations) countries save us from the tedious work of processing these documents that would show our intention on going back to our home country—third world problems. We've already ticked the map and (over)explored our neighboring countries including Malaysia, Indonesia, Thailand, Vietnam, Laos, Myanmar, and Cambodia. For this year's trip, we originally planned on going back to Bali (Indonesia) and Singapore before we embark on a one-month trip to Morocco (my ultimate dream destination). A friend suggested though on trimming down the number of days of our Bali trip to explore East Timor instead, he even said that he would join us on the said trip. 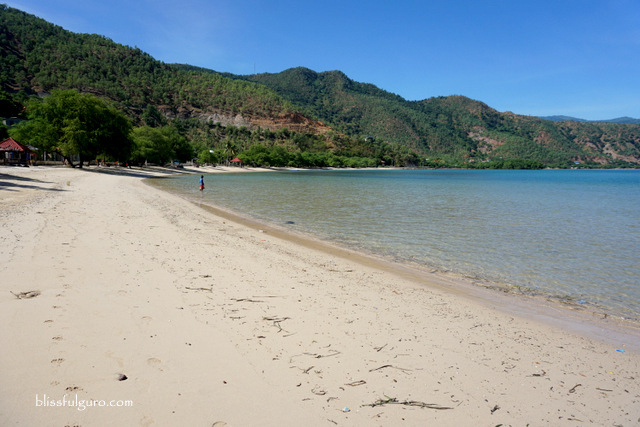 ▶️ Where to stay in East Timor - Click below to see room rates and discounts. Colonized by the Portuguese for 273 years, East Timor (official name: Democratic Republic of Timor-Leste) has received their independence in 1999 after a bloody war with its neighboring country, Indonesia. Almost one-fourth of Timorese people were wiped out in this horrific genocide. Just the thought of them fighting for their freedom freaked me out as everything happened in recent time, it made me wanna hug every individual who were already alive at that time. 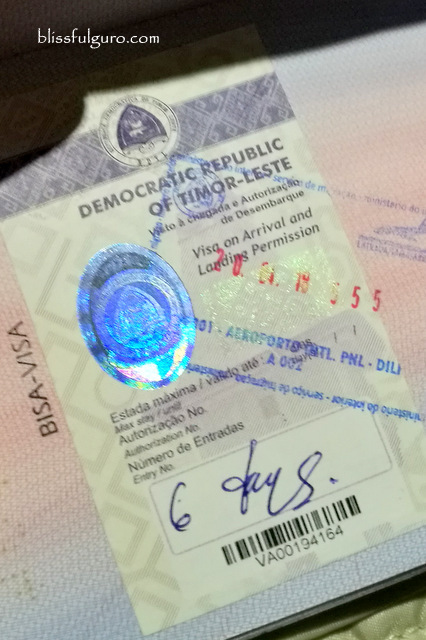 Being the youngest nation in the region, East Timor is the only country that hasn’t been included on the ASEAN hence, a visa is necessary in entering the country. The Philippines is included on the countries that is permitted to have visa-on-arrival so that wasn’t a problem for us. There was a challenge though, our friend who spearheaded this trip was denied of boarding our direct flight from Bali (Citilink) as he had only one blank passport page (at least three blank pages are required). We wanted to just leave our East Timor plans behind and party our sorrow away in Bali but he mentioned that we should carry on with the trip. With heavy hearts, we left him at the airport. It was approaching noontime when we arrived at Presidente Nicolau Lobato International Airport, the only international airport in the country. 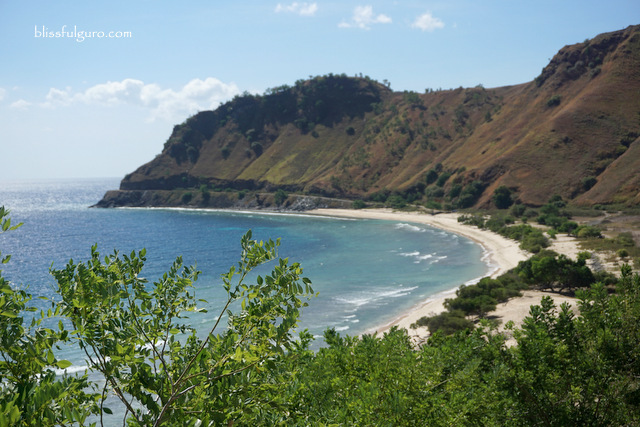 EAST TIMOR VISA FOR PHILIPPINE PASSPORT HOLDERS. Visa issuance was easy breezy and all we had to do was to fill out a form and presented it together with our passports then we paid the necessary fees (US$30 for 90 days as tourists). 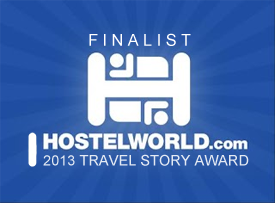 Immigration procedures were swift and we were only asked on the duration and type of our trip. 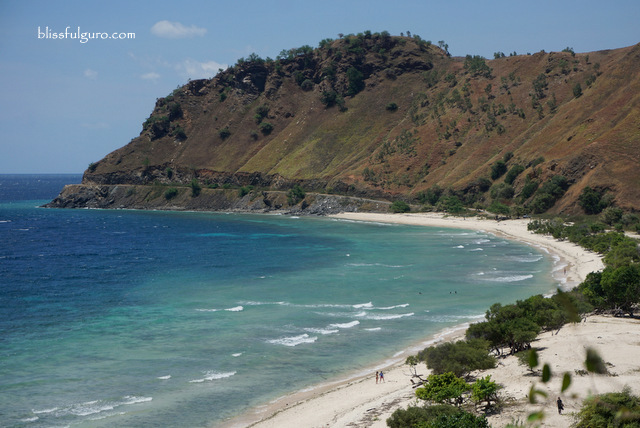 The validity of East Timor visa will depend on the number of days you'll be staying in East Timor. GOING AROUND DILI, EAST TIMOR. There’s this weird feeling as we emerged from the airport. Being one of the countries that’s not frequented by tourists, we were the only ones who spoke different language at the airport. We totally had vague idea on what to expect as we don’t usually do heavy online research prior a trip. We were contemplating on whether to take a cab or figure out the local mode of transportation when my buddy saw a service van of our booked hotel at the parking and asked if we could hitch, he obliged and said that the service is free for hotel guests. The van ride was a refuge from the intense noon heat. My eyes were fixed on the outside scene as I was trying to look for any similarities to my homeland. There were jeepney-like kind of mass transportation and people weren't hustling much compared in Manila. It felt like I was on a rural area in the Philippines as I try to picture the facial semblance of Timorese to Filipinos. 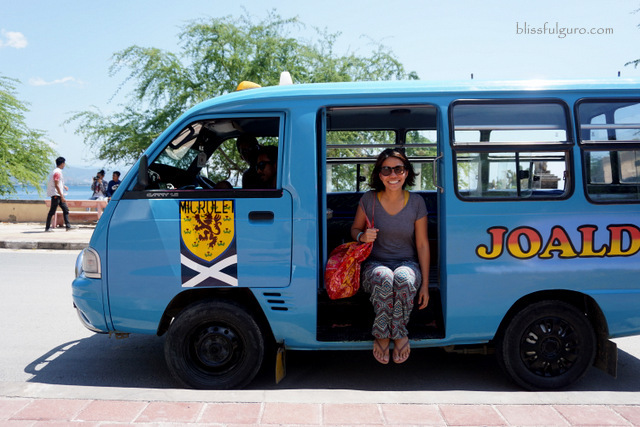 Microlet, the common mass transportation in Dili, East Timor. Microlet is the common mass transportation in the capital city. The usual fare is US$0.25 each person per way. It was confusing though as these uniquely-numbered microlets have specific destinations and you wouldn't wanna go on circles thinking that it would somehow end up to where you wanna go, just like what happened to us a number of times. So better ask the locals for the right microlet to take each time you go out. 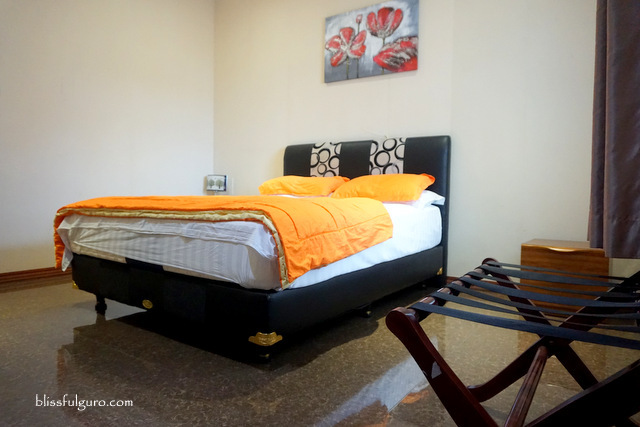 DILI ACCOMMODATIONS. 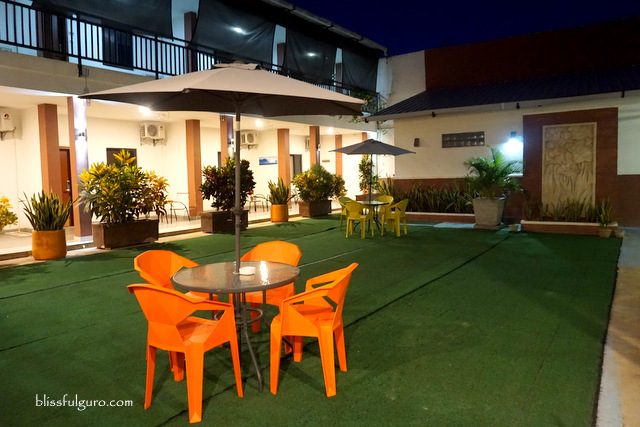 We arrived safely on our home for six days, D’ City Hotel (check here for discounted room rates). 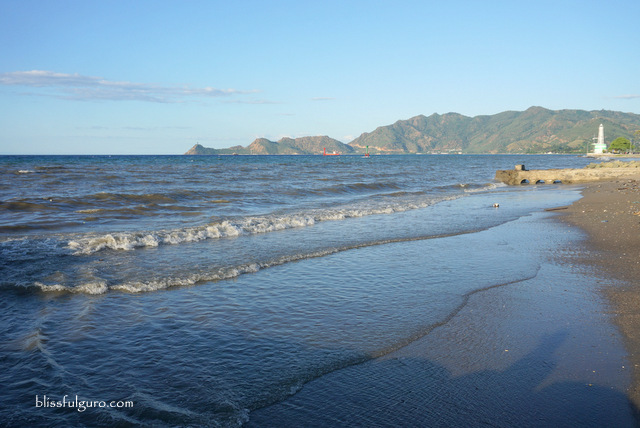 There are not much accommodation options in Dili, the capital, as it's either a budget-backpacker place or high-end hotel and nothing in between. 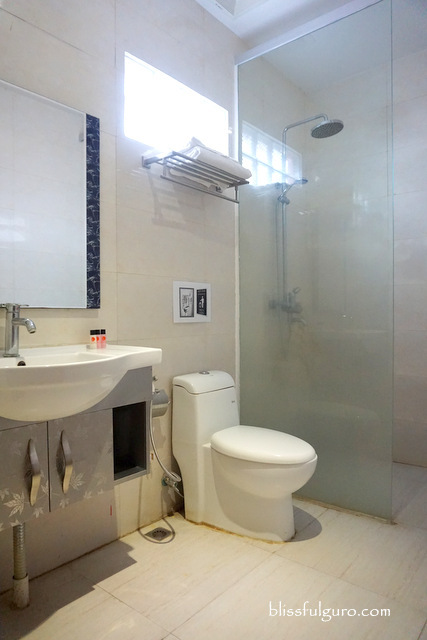 But the oldie in us chose to be picky this time; private space and bathroom are much more important at this age. We could walk for miles and be cheap about transportation but not on our space; talk about getting old. FOREIGN EXCHANGE. US Dollar is the currency widely used in East Timor but they have Timorese coins for payments below one dollar. There are foreign exchange facilities in local banks but I’m not sure what currencies they accept there so it's better to just bring US Dollars with you when you go to East Timor. TIMORESE PEOPLE. Timorese people are generally kind and courteous. We didn't encounter any problems in dealing with them as they seemed to be happy to help anyone in need. Both Portuguese and Bahasa Indonesia are widely spoken. English is also common. TIMORESE FOOD. Food is typically like in any Southeast Asian country which consists of rice and noodle dishes. 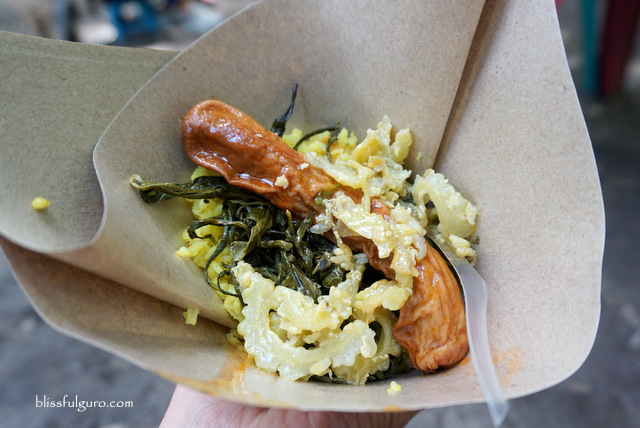 Flavors weren't as remarkable as in Malaysia but it wasn't as bland like in Laos. A decent meal usually starts at US$1. 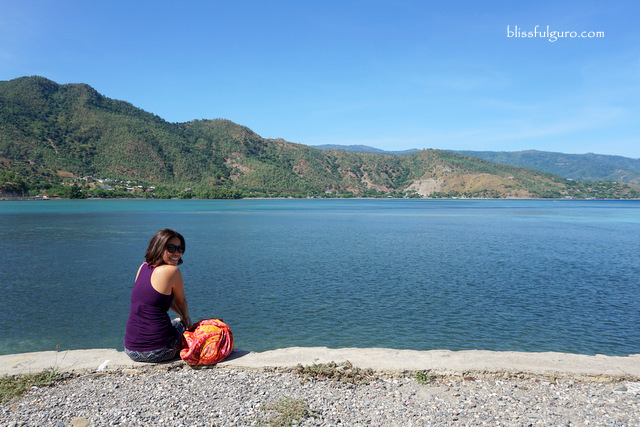 If we were the adventurous type of travelers we'd definitely explore the villages on the outskirts of Dili but no, we chose to spend a week at the capital city alone as we're both fans of the “laidback life”. People-watching versus stressing it out on hiking or trekking will always be the winner. We'd wake up whenever we wanted to and just research on where we'd possibly go then went home wherever we felt the need to. We spent most of our time chillin' on a park or beach and do nothing. And we’d be okay with that. Beach time. More beach time. Boulevard. Timorese food. Chill. Urban laid-back life. 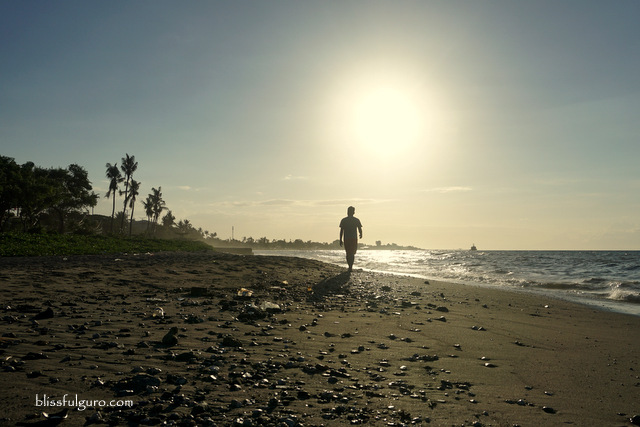 Here's a rundown on our week-long jaunt on the youngest nation in Southeast Asia. It was our first night and we needed to go out to get something to eat after our seven-hour slumber. We scanned the nearby streets on our food options and felt uneasy as street lights seemed to be nil on this side of the town. We then found a shack and got ourselves a rice meal which is reminiscent of what we have in the Philippines but in a much bland way. We went back to our hotel and planned on working on our writing backlogs. But then, we ended up on a series-watching night. 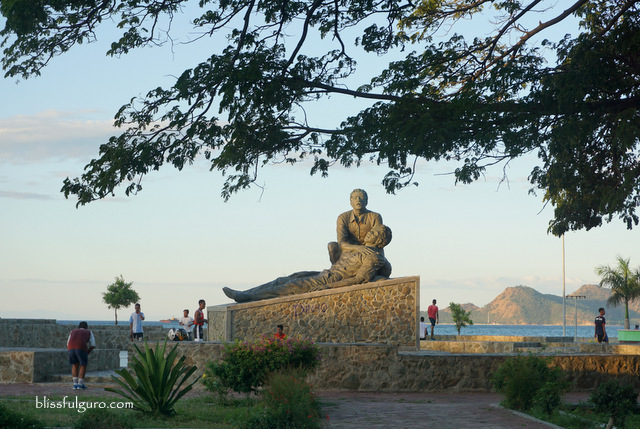 Dili is a quiet town considering that it’s the capital city of East Timor. Shopping malls were rather in a smaller scale and posh restaurants were confined on major hotels. 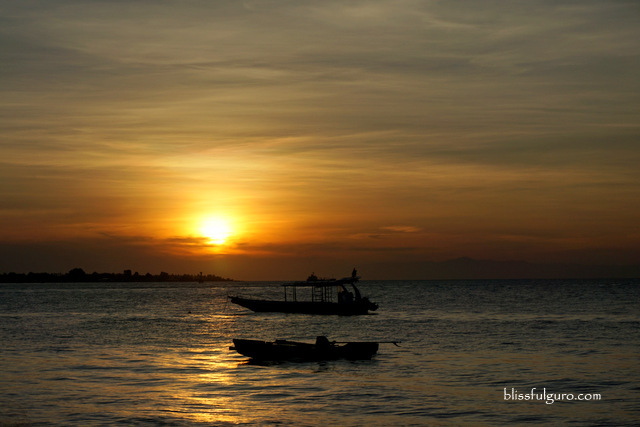 It felt like a remote coastal town in the Philippines and not a major Southeast Asian capital city. We walked around town the next day with no specific plans to go to. Our feet then led us to a museum. Honestly if it weren’t for the sweltering afternoon heat, we wouldn’t find refuge inside the air-conditioned building. It was actually a good call. We paid US$1 each for the entrance fee and went around Archives & Museum of East Timorese Resistance. We then learned about the horrors of East Timor's past until they gained freedom. The eye-opening activity led us to a deeper understanding of the ill effects of war to the nation and its people. It was heartbreaking, just like our museum trip in Ho Chi Minh in Vietnam, but it was a good first stop on our trip. The museum was located beside East Timor National University. 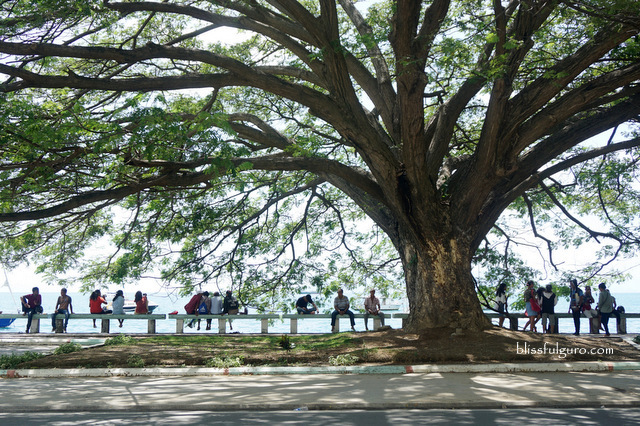 There were some students on a park who were chilling out underneath the lush trees. Some were even happily chatting while seating on a low stool while feasting on their take away lunch meal from peddlers around. We joined the crowd as we were hungry at that time so got ourselves some bungkus or take-away rice meal of turmeric rice plus sauteed bitter gourd and fried anchovies for US$0.75 We were satiated and the dish reminded us of a Typical Filipino rice meal. There was a group of students, probably in their late teens, who were singing nationalistic songs with guitar accompaniment. We've got goosebumps all over as we watched in awe on how great their love is for their country, at a very young age. These kids might not have witnessed the war but somehow, they experience the ill effects of it. 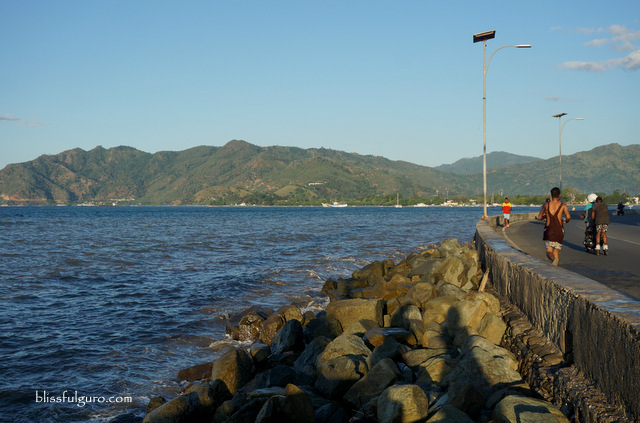 Our aimless wandering led us to the Boulevard which became our favorite chill spot in downtown Dili. 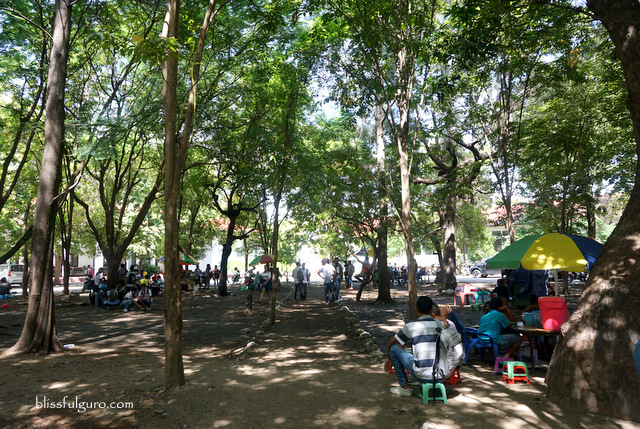 At weekdays, the whole stretch was filled by locals who were looking for shelter under the huge trees. At weekends, the area turns into a huge party place. A number of food stalls were set-up and we got to try their version on Indonesian noodle soup, bakso. I didn't like it as it had this sweet and sour taste to it. My buddy, on the other hand, enjoyed it and got another bowl after finishing his first. 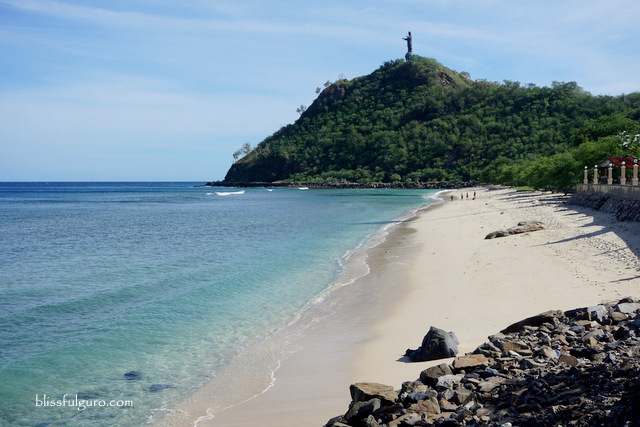 It was a Sunday when we visited the most famous landmark in East Timor. 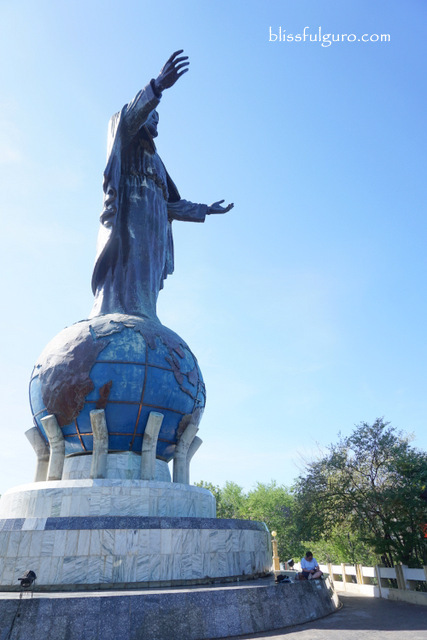 A gift from former Prime Minister of Indonesia to the Timorese people, Cristo Rei is a 27-meter high copper statue that was a gift by former Indonesian President Suharto to the Timorese people (or to somewhat appease them on the violent occupation of his troops). 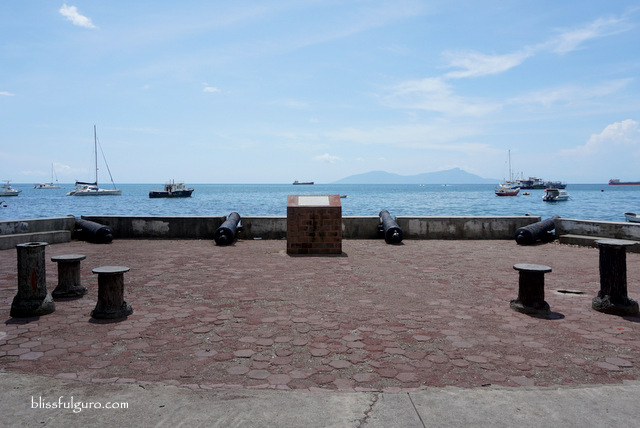 It remained to where it’s located, facing the capital city of Dili, even after their independence in 1999. The almost never-ending steps to the top. With no idea on where to go exactly, we asked around for the right microlet to take to get to our destination. With the help from the friendly locals, we hopped on a blue microlet (#12) and headed to Cristo Rei. The ride along the coastal line was scenic and we spotted a number of potentially happy beaches. We were directed by our gracious microlet driver to the pathway leading to the steps, no entrance fee was asked to get in. At eight in the morning, people started to come to spend the day at the park area. The path leading to the paved steps (570 to be exact) was surrounded with lush trees which made the tedious climb bearable (we are so not hikers. haha). 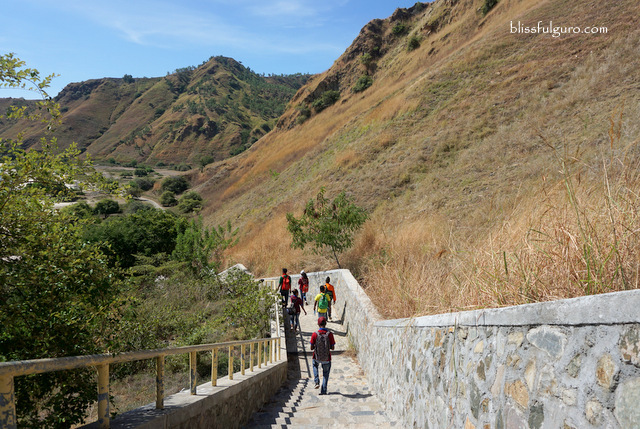 We were joined by morning joggers, a clean-up group and some few tourists on the hike. 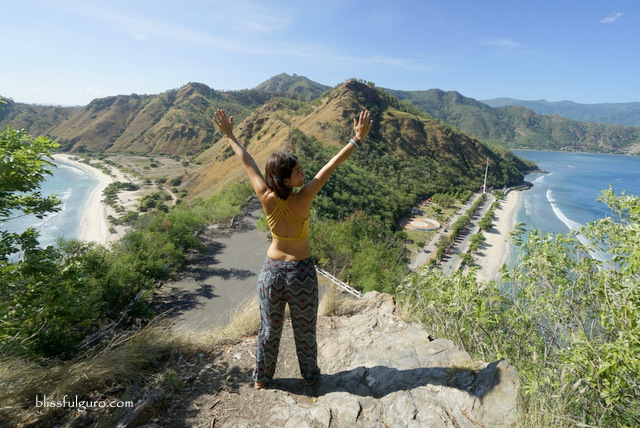 We stopped a couple of times on some rest areas which actually provided a panoramic view of Dili. The statue in itself was underwhelming but having a 360-view of the island was totally amazing. 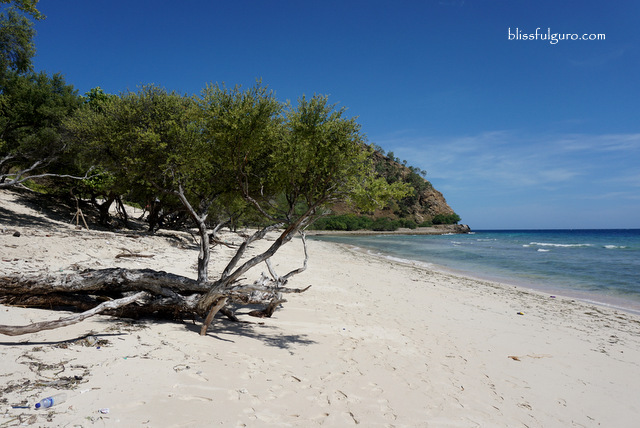 I was really looking forward on East Timor's rustic beaches and beautiful underwater scene. 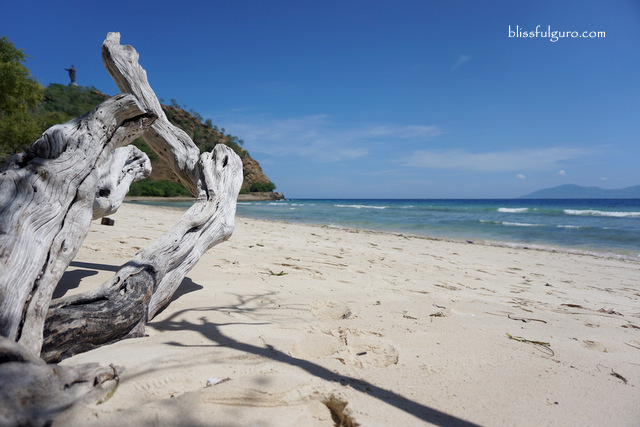 Having been to Indonesia's famous beach destinations, I know that the country is a tropical paradise as well. 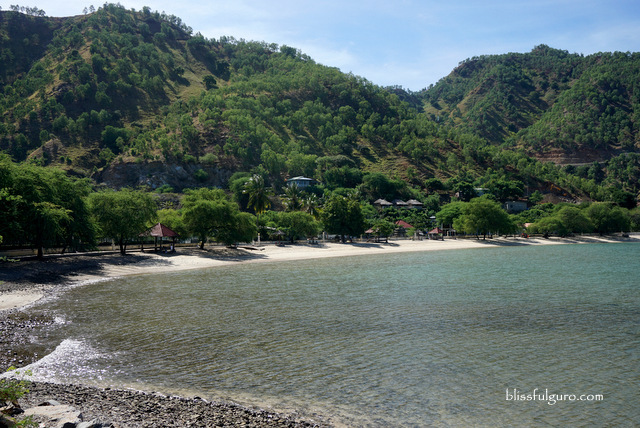 There are a number of beaches in Dili town alone and we managed to check out four. The first three are located near Cristo Rei. Pockets of beaches as well as beach coves surround the area so what we did was to look for a place to chill. First stop was a secluded paradise right below the famous structure. After climbing to the top of Cristo Rei, we saw a number of beautiful beaches around and decided to check out a few. No signages were around and we just deviated from the path we came in to going to Cristo Rei. 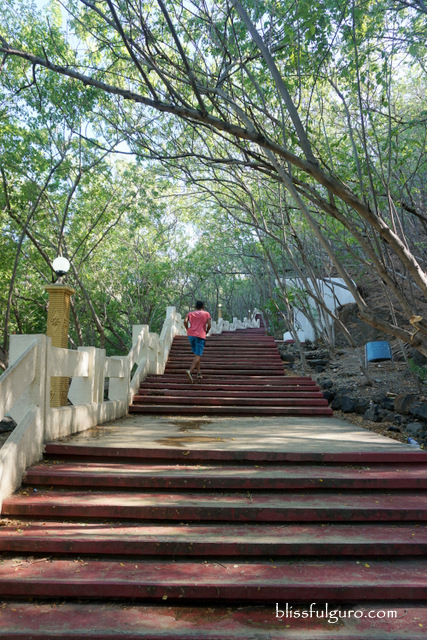 The paved stairs lead directly to our first beach, Dolok-Oan Beach (The Jesus Backside Beach). Natural debris were around as we looked for our spot. There were no souvenir shops, no restaurants, no beach chairs for rent and no banging music—the anti-thesis of Bali. It was nature, as pure as it can get. I laid our good old sarong underneath a tree and sat there for a while. My buddy was busy taking photos of the cove while I just stared at the beach, not a single thought was running through my mind—a good kind of boundless stare. It was noticeable how families and friends would occupy a spot and laze there all day long with picnic baskets and guitars with them, the very definition of a lazy Sunday. I unfolded my beach mat and enjoyed that tranquil moment which would have been perfect if we had some crisps and beer with us. The warm air almost lulled me to sleep but I chose not to, I wanna savor that moment. Our second beach was located at the entrance of Cristo Rei which is aptly named as Cristo Rei Beach (Christ the King Beach). The shore was shorter compared to the first one but there are a lot of people around. We grabbed some rice meal from a peddler and enjoyed our lunch view that afternoon. We didn't get the chance to swim that afternoon so we decided to come back again the next day. 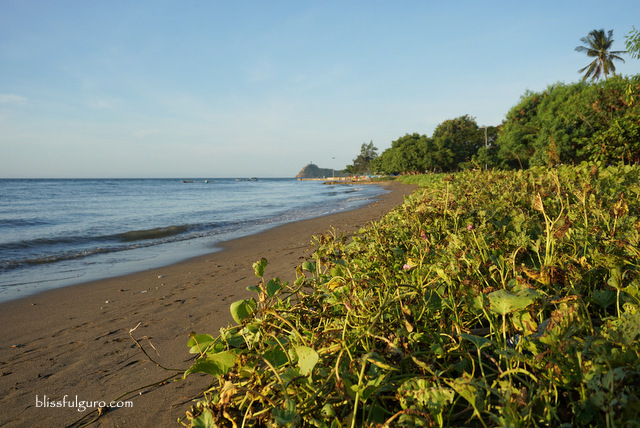 It was eight in the morning when we arrived at Cristo Rei Beach. We owned the whole stretch aside from some kids who were swimming in their school uniform, it was a Monday. We spent some hours frolicking at the beach as we owned the whole stretch that morning. As usual we had no plans that day. So we decided to walk along the main road where we spotted a beach cove with cabanas and trees lining the shore. Of course, we had to stop. Areia Branca Beach is popular for locals especially during weekends. Intimate gatherings as well as birthday parties are usually spent here with endless beach hours for the guests. Aside from us, there was this couple who seemed to be enjoying their quality time on one of the wooden cabanas, new lovers, we thought. The shallow and calm water was too inviting so we settled on one of the cabanas (free, at that time) and went ahead to swim. The day went by as relaxed as we wanted it to be. We had no internet or wifi connection so it was just us and the beautiful scenery, with some locals passing by the road every now and then. We fell into a deep slumber for a good hour and woke up to the same view, our stuff were unharmed. We could've stayed there longer if we have food packs with us but we were too hungry to carry on with our slackerhood mode. 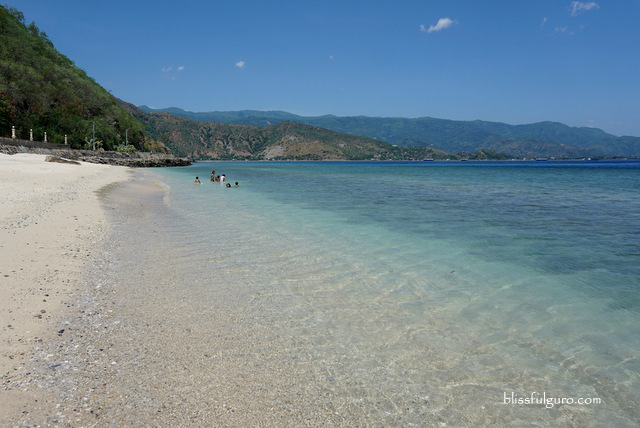 It was our last full day when we accidentally found another beach in downtown Dili. We were having our walking-around-town routine when we spotted it. Though it wasn't as captivating as the others, we're so glad we ended up there. 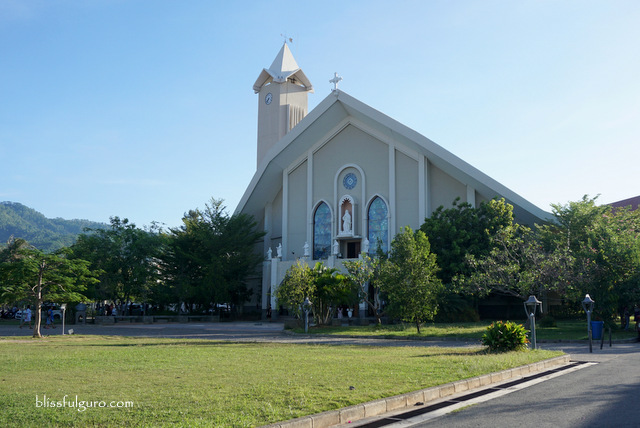 Majority of the population in East Timor are Christians and surprisingly, the Philippines falls only second to it in Southeast Asia. It was Sunday afternoon when we got bored on our hotel room after a morning beach trip when we heard a bell from a nearby church. We then decided to hear mass. 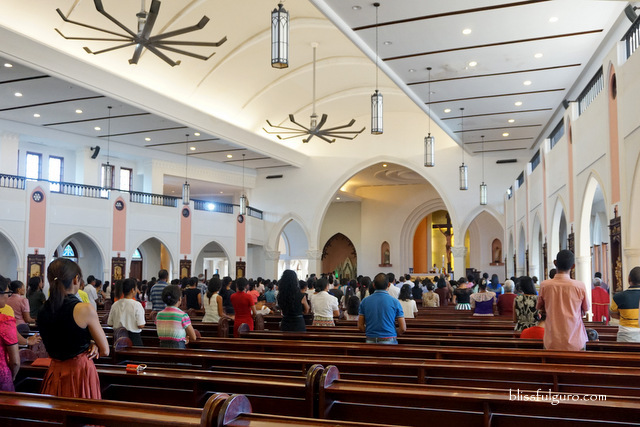 There was stillness as we entered Dili Cathedral. Almost everyone was in their best Sunday dress and we quietly settled on the last row. We then realized that the mass is in their local language. But we went on and stayed for a few minutes. 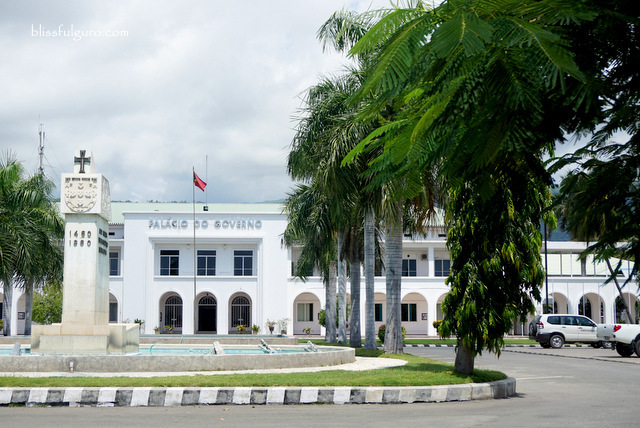 Our endless saunters would usually end up at the center of Dili, the park and boardwalk in front of Palacio de Governo. Largo de Lecidere comes alive during weekends. During the course of our six-day stay, we've seen a number of public places where the locals commune, usually in the afternoon. There were families who were having picnics, lovers having their "us" time and kids who were playing soccer. I was so envious on how the spend their leisure time. 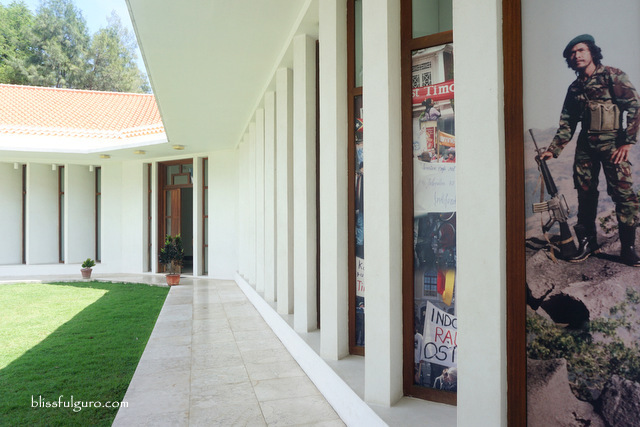 Our trip to Archives & Museum of East Timorese Resistance pierced our hearts as it gave us a general idea of what had happened during the war around 30 years ago. 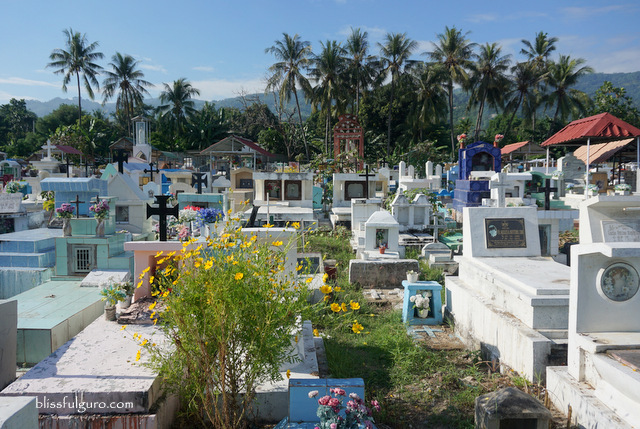 One of the notable parts during our visit was a terrifying video footage of Santa Cruz Massacre happened at a cemetery, around 250 East Timorese were killed that day. We learned that our hotel was just a microlet away from the said site so we checked it out. The familiar gates and entryway from the video greeted us as we approached the cemetery. 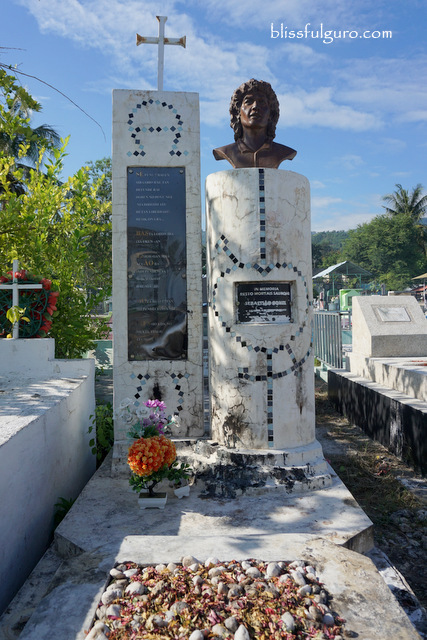 It was around nine in the morning and we went on to look for Sebastiao Gomes’ grave. A man killed by Indonesian combatants in 1991, his death paved way for pro-independence Timorese to show their aversion to the invaders. It was during his funeral march when the famous Santa Cruz massacre happened. 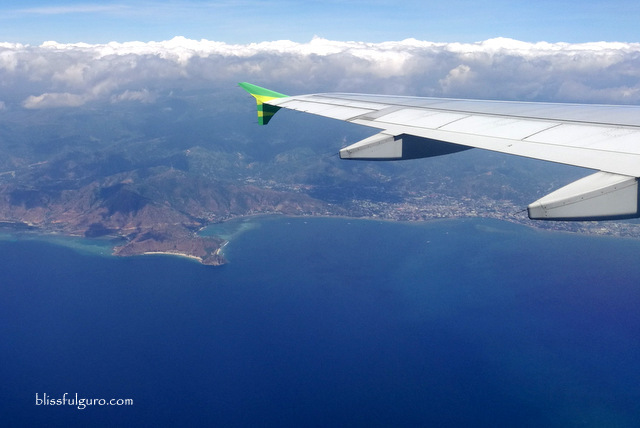 Coming back home after the trip, our friends would constantly ask us if East Timor is worth visiting considering the not-so-cheap airfare plus visa fee. I couldn't give them an outright answer though as every experience differs from one to the other. As for me and my buddy, we had a wonderful time during our week-long trip to one of the youngest nations in the world ‘coz we got to experience the everyday life of the Timorese people. We weren't raving about their food plus our hotel accommodation ate up almost half of our budget but we experienced first-hand on how a young nation is keeping it steady whilst the rest of the world is continuously rising upward, literally and figuratively.